Solid Explorer (Android) ~ Android Forever! 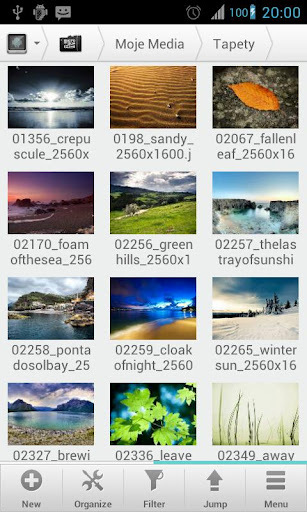 Developer Quote: "...the most attractive, eye catching and intuitive file manager for the Android." 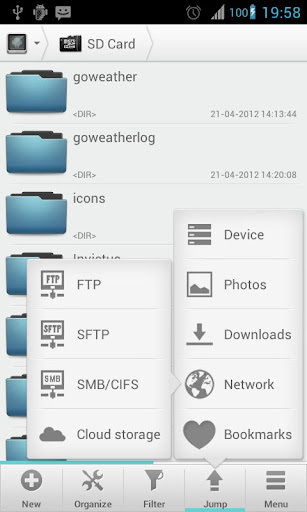 One of Android's features that sets it apart from iOS is the ability to see what's on your device. Sweet freedom. But with freedom comes responsibility, or so we've been told, so you have to make sure not to mess with any vital innards. That's pretty easy if all you're doing is looking for and working with data like music, photo or other personal files. This file manager is rated five stars on the Android market. It shines because it is easy to use and looks great. So take a look and see if you don't just love it!